• Judah, the southern part of the Jewish homeland. • Judah, one of the 12 sons of Jacob/Israel. Judah - the place - refers to the southern part of the land of Israel and includes the cities of Jerusalem and Bethlehem. 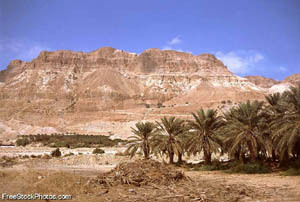 It covers most of the area between the Mediterranean Sea and the Dead Sea. Judah is named after one of the 12 sons of Jacob/Israel, a man who lived about 4000 years ago, and for whom the country of Israel is named. Judah existed as an independent kingdom for about 300 years. This began about 2900 years ago when the country of Israel broke up into two separate kingdoms. The northern kingdom kept the name Israel and the southern kingdom became known as the Kingdom of Judah. Judah ceased as a kingdom when the Babylonians conquered it about 2600 years ago. Judah was one of the twelve sons of Jacob. His mother was Leah, who also gave birth to Reuben, Levi, Simeon, Issachar and Zebulun. Judah was the founder of one of the 12 Tribes of Israel. A region of Israel, which included the city of Jerusalem, was named after Judah. In fact, Judah became the name of the southern kingdom when Israel divided into two kingdoms about 2900 years ago. Judah played a role in saving the life of his brother Joseph. When Joseph's brothers had plotted to leave Joseph in a pit to die, Judah convinced his brothers to sell Joseph to Ishmaelites, rather than letting him die. (Genesis 37:26-28). Judah is shown to be the leader of his brothers in Genesis, chapters 43, 44, and 46. The ancestry of Joseph, the adoptive father of Jesus, is traced back to Judah. So is the ancestry of King David. In Jacob's blessing of his 12 sons, in Genesis 49, he described Judah as a lion cub, saying that he would have his hand on the necks of his enemies and that he would be praised by his brothers. Jacob's blessing of Judah, in Genesis 49:8-12, includes a passage that is traditionally understood by Christians to mean that Judah's descendants would rule over the land of Israel, culminating with Jesus. In Revelation 7:7, Judah is at the top of the list of the tribes receiving the Seal of God for 12,000 of its members. The name Judah means "to praise."